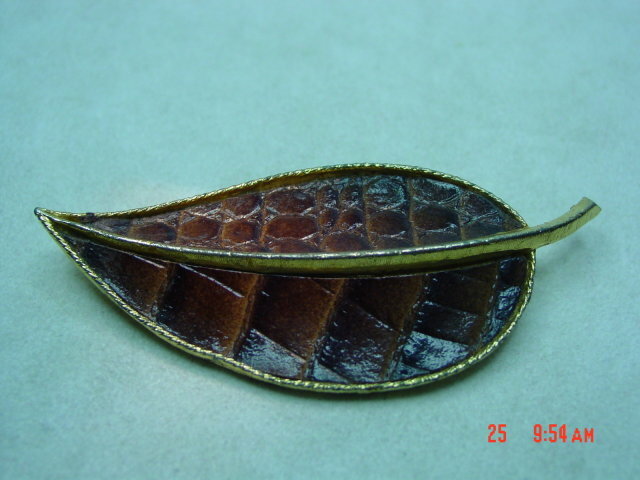 Beautiful goldtone leaf brooch with vinyl inserts that have a leather texture and look. Signed BSK on the back. 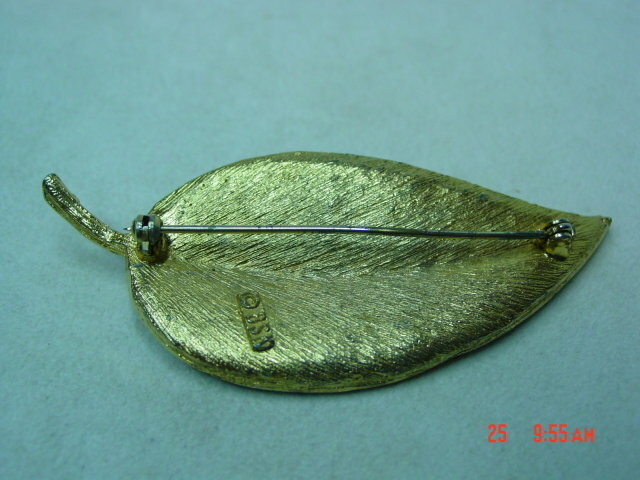 Items Similar To "BSK Goldtone Leaf Brooch with Leather Look "